CWB Chicago: Police change Rogers Park murderer description: "Black" is out, "dark complected" is in — But why? Police change Rogers Park murderer description: "Black" is out, "dark complected" is in — But why? Chicago police have changed their description of the suspect who is being sought in connection with two apparently random homicides on the streets of Rogers Park this week. But the department refuses to say why their description has changed. Willard “Douglass” Watts, 73, was shot dead as he walked his dogs around 10:05 a.m. Sunday. Then, 24-year-old Eliyahu Moscowitz was shot as he walked on a bike path in Loyola Park around 10:20 p.m. on Monday. Neither men were robbed. They did not know each other. They were each shot at point-blank range in the head. Then, in a community meeting Wednesday night, police Sgt. Shawn Sisk pushed back against some audience suggestions that the description was inaccurate or racist profiling. But at a second community meeting on Thursday, police leadership backed away from their earlier description. “We haven’t conclusively determined the race,” First Deputy Supt. Anthony Riccio said. Police did not say why their description, based on technical analysis and witnesses had changed on Thursday. Guglielmi did not respond to a Friday email seeking an explanation. Without an explanation from officials, the public is left to wonder if there have been substantive new developments in the investigation that led to the change or if the department capitulated after being called racist by a handful of people. 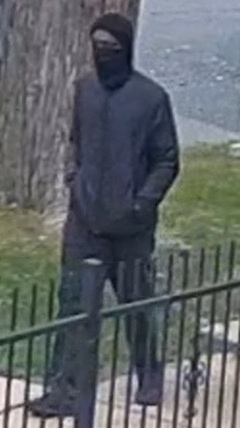 Police are urging anyone with information, video, or potential leads to contact them at 312-744-8200 or at www.cpdtip.com.